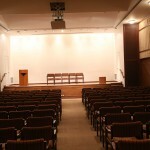 (Air Conditioned – Ground Floor) NEHRU CENTRE, WORLI, MUMBAI – 400 018. 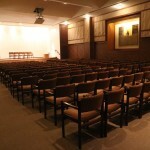 Use of the Hall : The Hall of Culture is available for holding conferences, seminars, lecture demonstration, inaugural functions only. 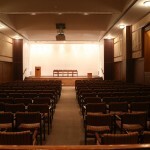 At Hall of Culture music, dance and cultural performances are not allowed unless prior approved in writing. Sound mixer with sound equipment, light equipment etc. are not allowed from outside agencies. 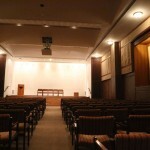 Hall Details : Area of the hall is 2000 sq. ft. (186.00 sq. mt.) 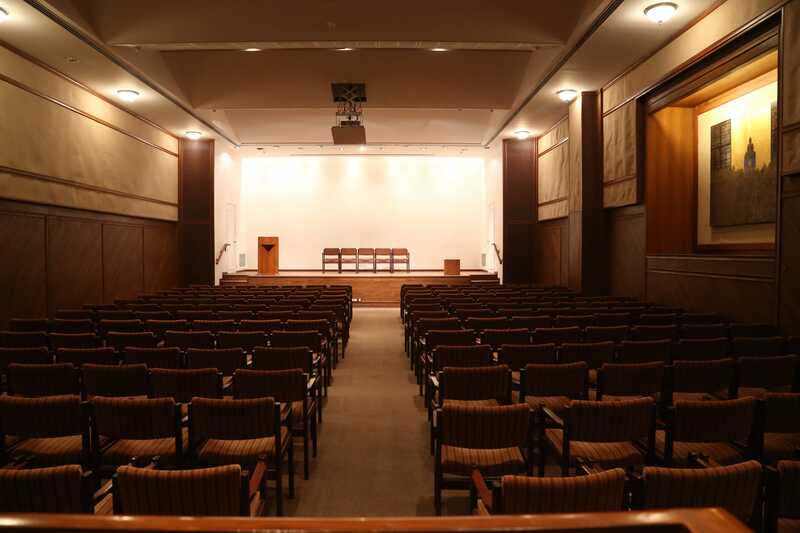 with a seating capacity of 210 chairs, centrally air conditioned with 2’9’’ high stage, general lighting, carpeted flooring (210 chairs are provided in the hall). 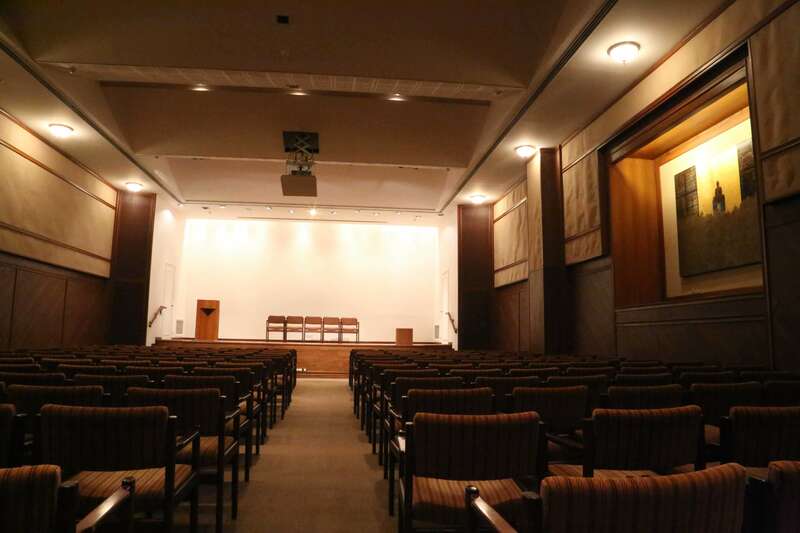 Note : General Security Deposit is refundable after deductions towards the use of audiovisual equipment as per tariff, damages, extra hours used with prior approval, theft of Nehru Centre’s property and other incidental charges if any. Extra use of electricity will be recovered either on ‘pro- rata basis’ or as per meter reading. 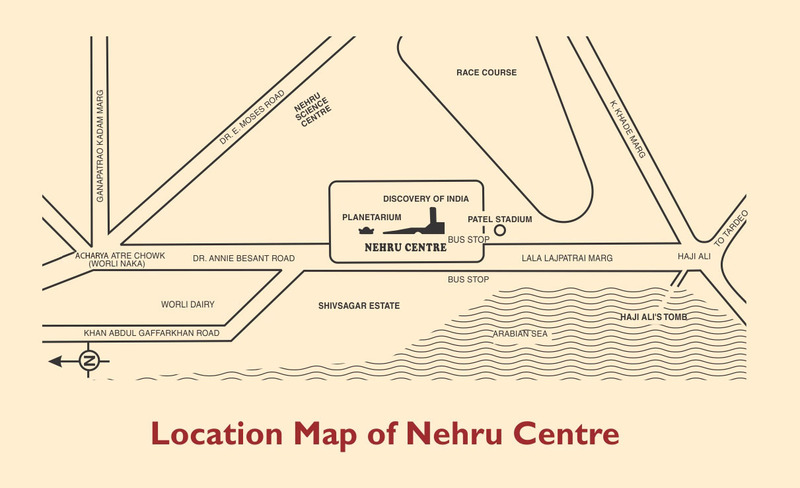 The cost of the damages is decided by Nehru Centre and its decision is final. Tariff Note : The rate tariff is uniformly applied to all organizers without any exception to bodies like Government Departments, Professional Associations, Institutions etc. 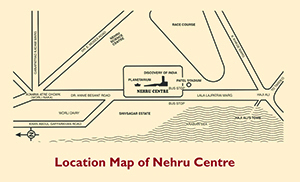 Mode of Payment : For confirmation of the booking full payment along with General Security Deposit shall accompany the application form (in the prescribed form) in the form of Banker’s Cheque / Pay Order / Demand Draft on any nationalized bank drawn in favor of “NEHRU CENTRE”. All Payments in respects of rent part shall be with 18% G.S.T. or as per Govt. directives. Booking request made less than 3 days in advance, full payment shall have to be paid in cash only. However, refund of the GSD after adjusting the recoveries shall be in the form of A/c payee cheque favoring details field in column no. 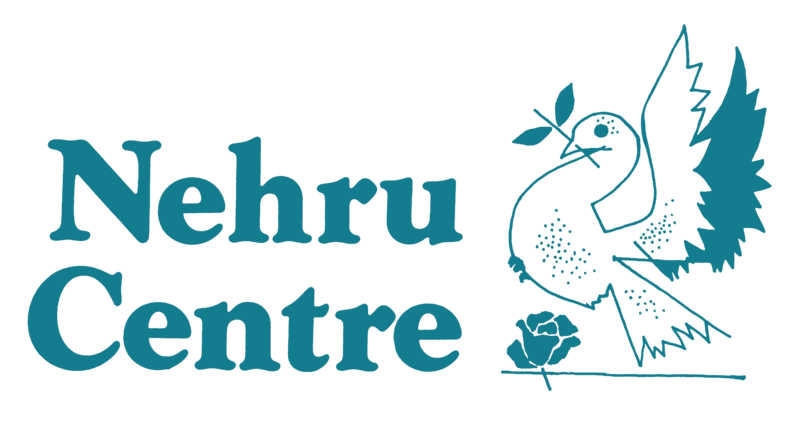 13 of the application form submitted to Nehru Centre. 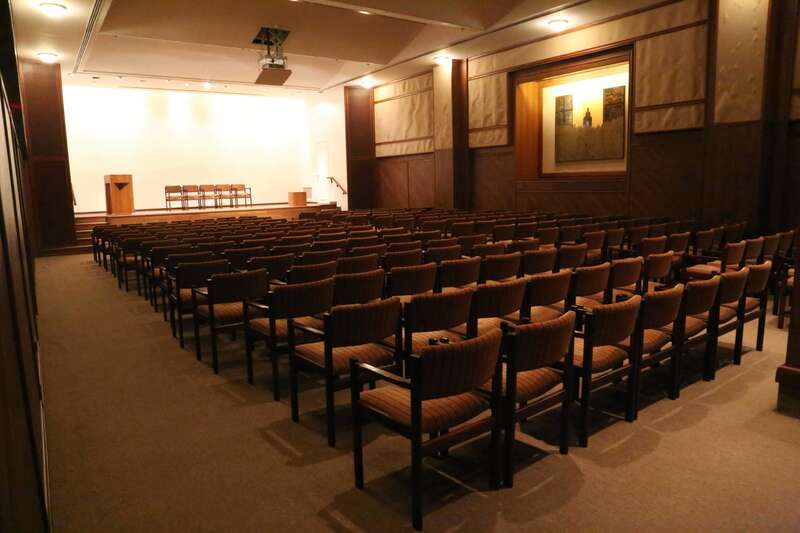 Cancellation : After the confirmation of the booking the amount so paid shall automatically stand forfeited if the Booking is not required or utilized by the organizer. G.S.D shall be refunded as per procedure. Change in confirmed booking : Subject to availability, request for a change in date can be considered with fifteen days notice period. Transfer charges of Rs.1,500/- irrespective of half day or full day per change shall be levied plus G.S.T as applicable. Booking : For booking /enquiries please call/contact Mr. Milind Tawade on 2496 4676/77/78/79/80 ext-139/ 159 or Fax on 24965857 between 10.00 am to 5.00 pm on working days. Catering : Foodlink Services on 2497 2999/ 2492 0887/ 2494 9586 or email at richa.bhalla@foodlink.in. 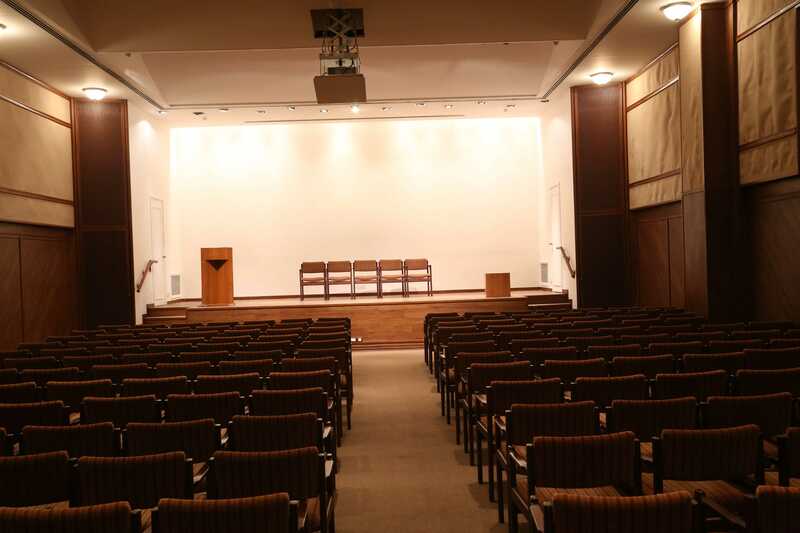 Following equipment’s at Hall of Culture, Nehru Centre are available for use by the organisers on the following maintenance charges and the same will be adjusted against General Security Deposit.